Cats definitely appreciate their independence, but that does not mean they like being left home alone. There is a big difference between napping in a different room and spending hours to days on their own in an empty house. Whether you work long hours or travel frequently, here are 5 things you need to know about cats before you head out the door. 1. Boarding may not be the answer. Cats are creatures of habit and tend to be quite territorial. Anyone who has ever moved with cats can attest that they find the new sights, sounds, smells and sensations of an unfamiliar environment quite stressful. In a boarding situation, kitties not only lose their home turf, your familiar presence is also missing. It may seem like the perfect solution, but boarding could actually create more problems than it solves. Some cats develop anxiety, aggression towards their caretakers, anorexia, and stress-related vomiting or diarrhea while boarding. If possible, hiring a pet sitter to care for your kitty on his own turf is a better option. 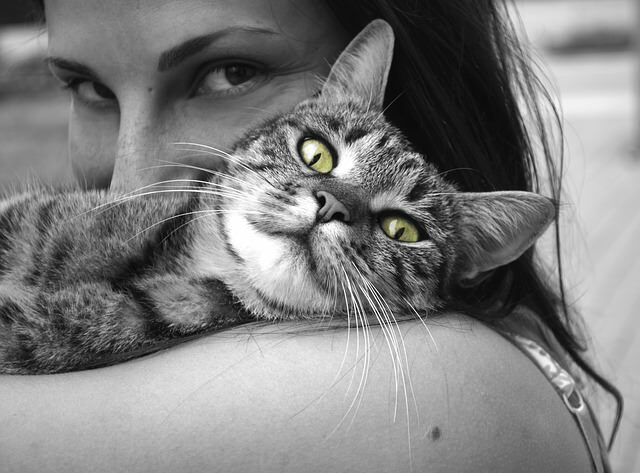 Cats thrive on a dependable routine and should never be left without human contact for more than 24 hours. Having a friend or professional pet sitter look in on your cat during your absense will help maintain his trusted routine and reduce stress. A human caretaker can also monitor your cat’s wellbeing by ensuring that he is using the litterbox and eating properly. “It will be less stressful for the cat if a normal routine is maintained in terms of having the litter box scooped regularly, food served at the normal times, and some degree of normal activity in the home,” Says cat behavior consultant and owner of Cat Behavior Associates, LLC, Pam Johnson-Bennett.